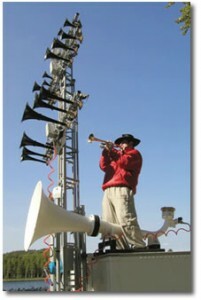 The loudest mobile musical instrument in the world. The TYPHON ORGAN is an outdoor happening for festivals and special events and it can be used for different city events and for concerts at rural landscapes. Original compositions are used for every show/event. For sound samples – ”Find me Soundcloud”. Up right.